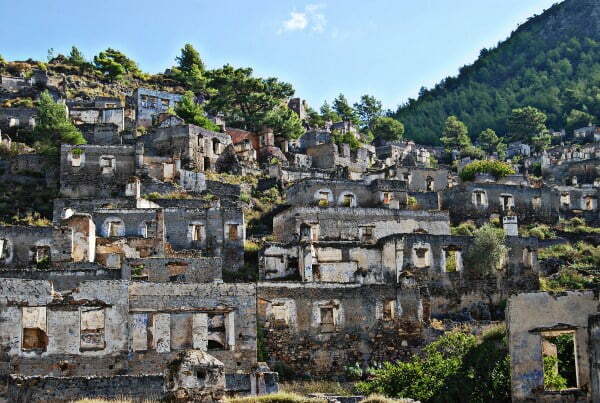 Kayakoy ghost village lies a short distance from the bustling and popular resorts of Fethiye and Olu Deniz. It is deserted, it is lifeless, the houses are crumbling and the streets are empty. However, there is an aura and an overwhelming presence that hovers over the village. Some visitors might not sense it, but I did and it washed over me in waves.I truly believe that because I researched the history before going, I was able to appreciate my visit even more. I was able to imagine the tragedy that caused the citizens to turn on their friends, abandon their homes, their dreams and everything they knew. 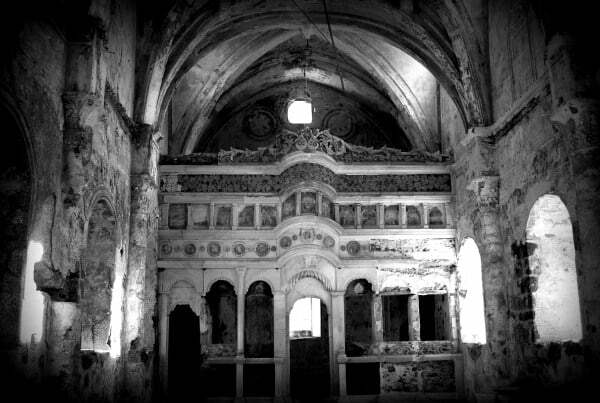 Kayakoy might be a ghost village but imagination and research certainly makes it come alive. The twist and most important part of its history lie in the fact that within the village, Greeks and Turks lived side-by-side. The Greeks called the village Levissi while the Turks called it Kayakoy. Outside their religions and schooling, the Greeks and Turks integrated with each other, sharing the same common goal and that was to get through life one day at a time. Understanding the past and daily life of this ghost village is important. One man put it into better words than I ever could. I strongly advise reading a book called “Birds Without wings” by Louis de Bernières, the same man who wrote Captain Corelli’s Mandolin. Now, Louis has never said that the location of the book is Kayakoy however; I want to quote him in an interview by the Guardian newspaper. ‘I went to south-west Turkey and there’s a ghost town there. It used to be a mixed community, as described in the book more or less, and they obviously had a wonderful way of life, quite sophisticated. An earthquake finally destroyed the town in the Fifties, but it really started to die when the Christian population was deported. It was walking around that very special place that gave me the idea .The town, called Eskibahce in the book, will be recognizable to those who know Turkey, ‘but I’m not going to go round telling people’. The loss of the First World War, the end of the Ottoman Empire and the attempted Greek occupation of the Anatolian region, all combined to force the decline of Kayakoy. Greek Christian citizens were forced to go to Fethiye harbour for deportation and Muslim Turks were expelled from Greece. Most of the returning Turks did not want to settle in Kayakoy. Of the ones that were already there, well they left when the earthquake hit. The point is though, a combination of historical events forced people to leave their friends, neighbours, homes and uproot their children. Whole lives changed forever when the signing of the treaty for the Turkish Greek Population exchange, took place. 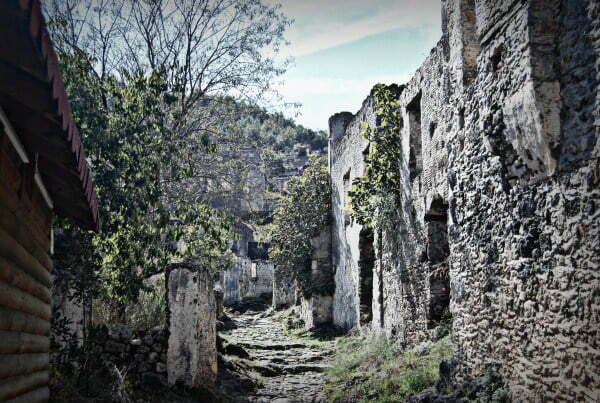 Nowadays, the ghost village is one of the biggest tourist attractions for Fethiye and the surrounding resorts. A few locals sell food and souvenirs to passing tourists and there are some occupied houses away from the main bunch of deserted properties on the hill. 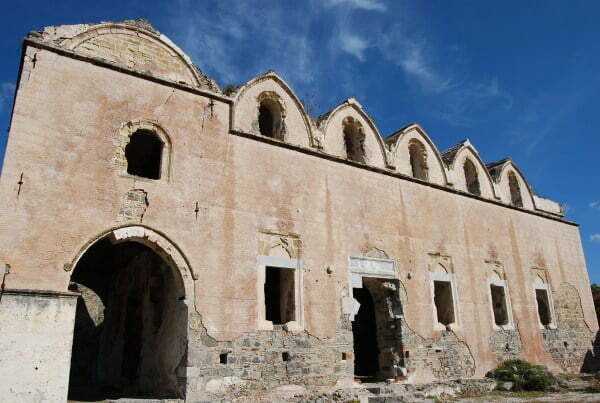 With an effort to move on from the past, UNESCO named Kayakoy a world friendship and peace village. 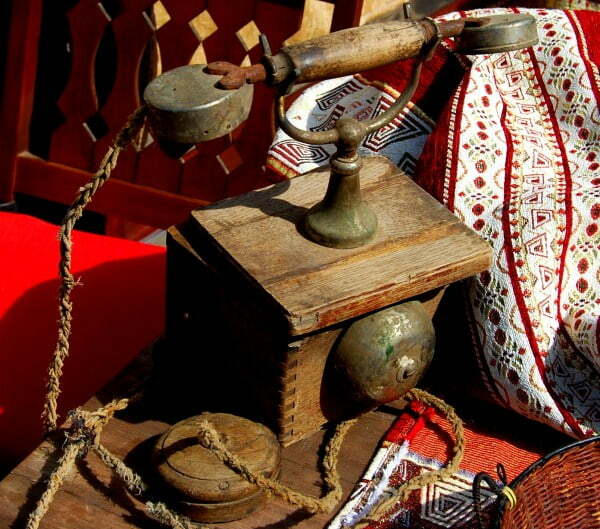 Walking around the village is interesting but you will appreciate it more, if you research the history beforehand. There are many tours operating from Olu Deniz and Fethiye but everyone I know, who went on them complained of a lack of time and lack of historical knowledge by the guide. Instead, there are regular local buses from Fethiye that will get you there in ten minutes. Delving into the history of Kayakoy and then walking around the deserted village was one of the best highlights of my southwest coast trip. To be able to stand there and imagine life for the Greek and Turks who lived side-by-side, it does make you realize that religion does not have to play a part in friendships. Unfortunately, the citizens of Kayakoy were pawns in a big game fought by the higher authorities. War tore their village apart and the same mistake is still repeated today in many other countries and villages all over the world. Readers Question : Have you been to Kayakoy? Did you enjoy it as much as I did? Everything so silent but with a sense that people were still there. I will never forget that experience . I like the road from Hisaronu to Kayakoy. And i’m not telling anyone about any earthquakes. What a horrible human tragedy … hope nothing this terrible even happens in Turkey again! What a fascinating and colorful place. I would have love visiting it when I was in Turkey. Interesting article, thank you. I visited last year whilst I was in fethiye, but I went at 4pm so a little too hot! I’m going again this year to Olu Deniz and hoping to visit again and then hike back. I’m not sure I enjoyed enough of the town last time, I did see a couple of chapels – and direction you recommend to walk in? Also I understand that there are some restaurants inside the town – is that correct as I seemed to completely miss them last time! Oh and thanks for reminding me to read Birds without Wings, I was reading the thread last time which is a little connected. It could be done but would be a rushed visit. Depends on how much you really want to explore. I loved just following the paths and going where they led me but if you are constantly clock watching, you probably won’t explore it fully. Also there are restaurants in the area that serve delicious and tender Tandir lamb and it would be a shame to miss those. Even though you will be doubling back on yourself, try to find some time during your stay in Kabak. According to Google maps, it is approximately a 40 minute drive. Alternatively visit it on the way back. Hey Natalie, we are thinking of visiting Kayaköy in our free 2 hours between buses while we are in Fethiye on our way from Dalaman Airport to Kabak. Do you think that would be too much of a rush? Taking a return trip with a cab (or bus?) would approximately leave us 1-1.5 h to see the village. Maybe also to have a quick visit to the tomb of Amyntas. Do you think it is worth making this visit for such a short time? I would say it is longer than four hours Alex. At least six if you have your own transport, more if using buses. I have travelled extensively throughout Turkey and must say that it is my favorite country in the world! It has been three long years and I will be going back nect Monday. Most of my time has been spent in Diyarbakir, Mardin, Urfa, Malata, etc. This time however I will be exploring the coast and staying with friends in Cesme; the ghost village seems to be about 4 hrs from there so I will be trying to make it there. Thank you for sharing. Hhm – not sure I would put Armenians and Greeks into the same category when you are writing your dissertation. I think they are two completely different stories that just happen to intertwine through the same timeline. Read about the Greek invasion of Smyrna and the push by the Greek army further inland. That should spread some more light on the situation. Yes I think you are right re Armenians based more in the SE of Turkey at this period of time. I have been doing a lot of research into the exchange and it seems to be a product of the crumbling Ottoman Empire and the Young Turks, in other words, a dispute between Muslim and Christian people. Seems like Greece may have been another ‘thorn in Turkey’s side’ as Armenia has been described to be at that time. This meaning that the population exchange was perhaps more related to the traumatic events happening at this period of time (pogroms) than it seems. It seems that the Armenians and Greeks were treated in a similar manner for the same reasons. And they both shared the determination to be independent and suffered for it. I have also read that Armenians were first to inhabit Kayakoy but this seems strange as the architecture looks very Greek. Perhaps a small population of Armenians lived there, but it was largely a Greek village. Also, there is a typo in my last post, I meant to say that 1923 was the LAST recorded year of the Armenian Genocide (1915-1923). 1923 is also the year of the population exchange. Both historical events are related to the actions of the Ottoman Empire and to the rise of the Young Turks. I am writing a dissertation on these events next year. Anyway, thanks for getting back to me, it is all very interesting. Never heard or read of any reference to Armenians here Hanna. Much of the West and South west coast were Greek villages and I think the Armenians were based more in the south east and also around Istanbul. The desertion of the village was purely down to the population exchange. Also I think you need to check that date. Are you sure that is correct? Hello, just came across this article and I found it very interesting. I was just wondering if anyone knew about an Armenian population inhabiting this village and if the clearing had anything to do with the Armenian genocide? I know it was mostly due to the fall of the Ottoman Empire, but it seems coincidental that the treaty happened in 1923, the recorded year of the genocide. Thanks. There is a strange vibe around the place. Shame about the history definitely. I loved Kayakoy. It made a strong impression on me. I still remember how weird it felt looking at all those deserted houses and spotting about two or three which seemed inhabited still (they had flower pots at the windows). Hi Annette, What a great read. You have a wonderful style of writing. Lovely to read your blog on Kayakoy. I have been on a few occasions (one earlier this year). We sail along the coast and stop at Coldwater Bay. In the morning we take the walk up the hill starting at 6.30am and when we reach the top of the hill it is magical looking over into the abandoned Greek village just as the sun is rising. There is always a line of smoke/mist in the valley like a veil hanging over it. This really is an amazing place and you describe it very well. My partner and i visited this place whilst staying in Olu and it was one of the best days spent in Turkey! We went on a small tour with just 5 others organised by a local guy who gave us so much information on the drive up there that we couldn’t wait to arrive. You are correct that it was a better experience knowing the history first and like you I really did get a strange feeling once there, both me and my partner said there was an atmosphere. Hi Annette, you are welcome. Glad you liked the blog. Tried to find yours but could not. Is it .com on the end of the name? Natalie, I ran across your blog while searching another topic, and it popped up again today. I blog as well – OpalsFromAbroad – and also wrote about Buzcada and the book, Birds Without Wings. I felt certain that the village in the book must have a real life counterpart here in Turkey. Thank you for writing about it. I will add it to my travel destinations as I continue to explore this wonderful country. I enjoy your writing. Yes it does look like a ghost town. Its a good attempt to convert it into a peace village by UNESCO. I like the photo of the phone, looks like a box? Thanks Santafetraveler – I tried to ensure the pictures reflected the ghost town as much as possible. They must have done the trick if you felt the eerie sense. What a great post. The photos brought the village alive for me. I know it’s a ghost town, but I’m trying to say I could feel the place- an eerie feeling. I could feel the pain there. I wonder if that’s what you were saying when you mentioned the aura you felt. I felt that way when I visited the buildings on Ellis Island when they first opened it to tourists years ago. Enjoy Kayakoy Trev, it is wonderful!! Lisa, that is such a shame. I know people have different ideas of what they want to do on their holidays but to miss out on Kayakoy, is disappointing. I have not heard of it being closed off but have not been in that area since last year. Have been visiting Kayakoy many times over the years, we speak to people who travel to Fetiye, Hisaranou and Olu Deniz who have never visited Kayakoy (just lie in the sun!) but we love to explore and have enjoyed Kayakoy so many times and its wonderful atmosphere! We heard recently it was closed off, not sure whether due to the recent earth quakes or to protect, does anyone know if you can still walk around for our visit in Sept? I have never been fortunate enough to visit Turkey but I have to say your photos and your descriptions of the places really makes me want to go. thank you for educating and showing me some of the wonderful places you have been to. 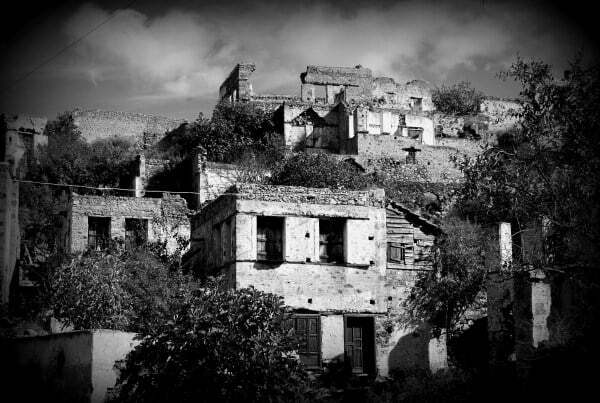 Kayakoy seems to be a nice place; too bad that a lot of circumstances left it to become a ghost village. I do hope that the place will be preserved for the next generation. Kayakoy!!! I tried going there from Fethiye…by foot…up a steep and winding hill. Somehow I’d gotten it into my head that it was just 2km but when I consulted my Lonely Planet book after an hour, well, it was much further. I gave up halfway, went back to my hostel and vegged out in the pool as I was wiped out. Next time I go to Fethiye, I’ll just take a minivan and check it out. The photos are stunning. Such an eerie looking place. Great article. I especially appreciated reading the history of the events that made the people leave and the lessons that we can learn from it. John – That is an new one on me. Booze from honey!! Will definitely like to try that. Cin pronnounced Gin and meaning exacxtly that. Bal pronounced Bal and meaning Honey. The original owner Achmet used to make booze from honey. That’s Cin Bal and is certainly worth a visit. Try The Blue Butterfly too this year. 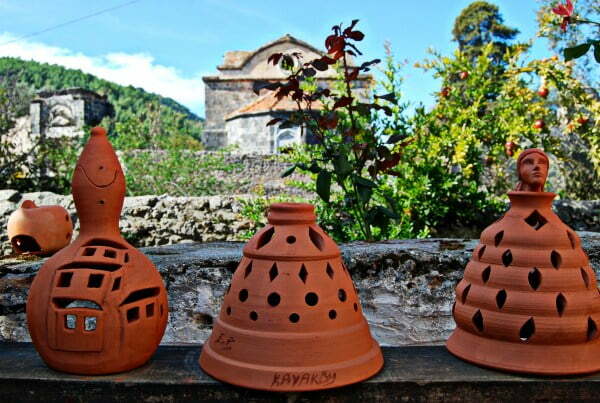 Great article..I love Kayakoy especially the outdoor Turkish grill restaurant Jimbal. A great concept where they bring you the marinated meat and you grill yourself ..You can really make a night of it. Another great little place i visited was a wine house I think it may have been called “The Wine House” howver to much wine has clouded my memory the serves a variety of different wines from all sorts of berries. 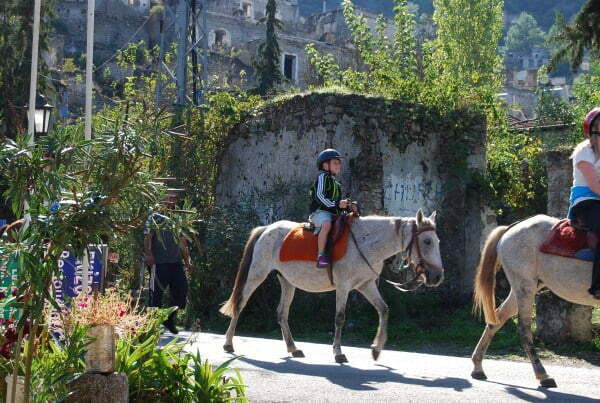 Lets hope Kayakoy retains its charm unlike it neighbours! Looks amazing! I love little towns like this that you can really get lost in exploring! I love this story! I’ve visited a few ghost towns in my travels but normally they’ve been deserted for fairly good reasons (the local employer shut down, etc). But there’s such a fascinating history behind this place. Can’t wait to visit it one day! There is a similar village called Karakaya in the hills behind Gumusluk, near Turgutreis. As at Karakoy, the houses are deserted and apart from a few that have been renovated, derelict. 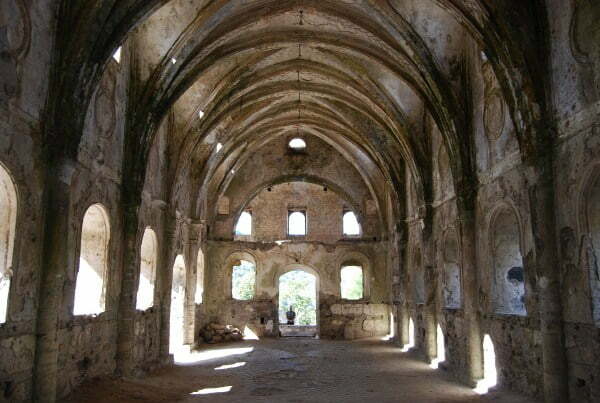 There are several deserted churches nearby at Gumusluk, Kadikalesi and Akyarlar. I suspect a similar history to the one at Karakoy and it would be interesting to find out more. 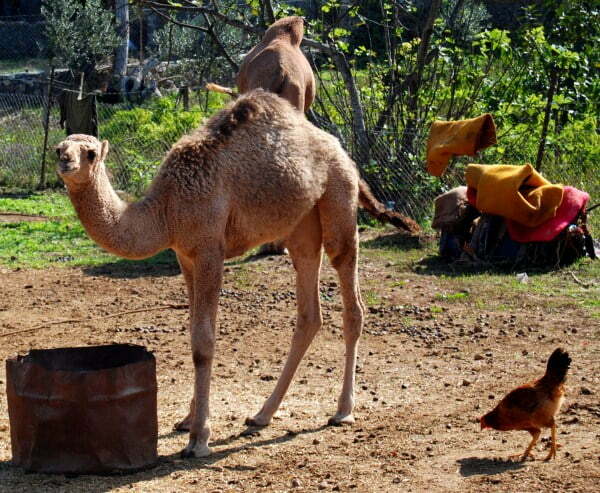 Hi Natalie,I loved your piece on Kayakoy. I’m going for a week in Sept and had started reading Birds Without Wings. I can already feel the sadness, life is sioux unfair. After reading about it looking forward even more to my holiday. That is a lovely poem but very sad though. The last paragraph is very true as well. Of course, of course ! Fabulous photos! I’m fascinated by ghost towns and ruined cities and there’s definitely something eerie about visiting hollowed out buildings – especially when they’re still relatively intact like the ones in your pictures. This sounds like a really interesting place! Andy and I would love to go back to Turkey and explore some areas we didn’t make it to the first time around, maybe we’ll have to add this to the list. I remember now – I think you told me about it before. You went exploring one day – Still need to make it up there. Completely forgot! Dear Natalie. Great blog here and super photo’s well done. Do you mind if I help you with some facts? I hope not. First the UNESCO thing. Often reported but not true I’m afraid. I asked them. ; that, of course, led to some of the stone walls collapsing above the doors and windows. In the churches the villagers were looking for hidden gold so dug up the floors and dug into the walls where their tapping found hollows. What they found was the empty clay pots which had been built in for acoustic reasons. Yes, the earthquake caused some damage directly but most of the damage was indirect…the Government gave permission for the folk of the town to take the large cedar beams to rebuild their houses. Any iron was also taken over time for its value as scrap or for utilization in buildings. The marble of the churches has been stolen in recent times purely for decorative purposes. You are right about the “Greeks” and Turks living in harmony but not in what we now call “the ghost town” that was entirely “Greek”, the Turks lived on the flatland or on the slopes of the northern hills. Where is Yoran village Di? Compelling story, Natalie. Ghost towns fascinate me. Great photos Natalie, we have visited Kayaköy several times and I always feel a sense of awe there. Louis de Bernieres visited last year for a book reading and will be there in a couple of days for another reading and a “nostalgic” walk through the village with some residents. It is a fascinating and atmospheric place – perhaps like you I have been influenced by ‘Birds without Wings’ and found it fleshed out the ‘ghost’ inhabitants of years gone by for me. Don’t know if you are still here for 30th but Louis de Bernieres is here for a dinner/discussion at Izela for which there are still some tickets available at 70TL via and for funds of FIG (Fethiye International Group). Louis is also doing a guided walk on 2nd May followed by tea and booksignings but I don’t think there any of the limited tickets available for the latter. I am so looking forward to exploring the site with de Bernieres and doing some paintings afterwards. Glad you enjoyed Alan – I wanted to change the atmosphere of the photos so that they would add vibes to the article. This is wonderful, it’s exactly the kind of traveling I enjoy. This ghost village reeks so much of history that whoever visits it is inevitably enriched. So horrible that its population underwent the terrible experience of the war, and even more terrible that as you said, there are conflicts all around the world. . . what a great post Natalie, so enjoyed this with your pics making for a really atmospheric e-visit. Know the village well and never tire of wandering. Not only did we enjoy it as much as you but we also bought land, had a house built and lived there for almost 6 years. We only returned to the UK to enable my partner to receive medical treatment and we’re looking forward to returning there in the autumn.